The Cowboys came on strong during conference play in 2018. 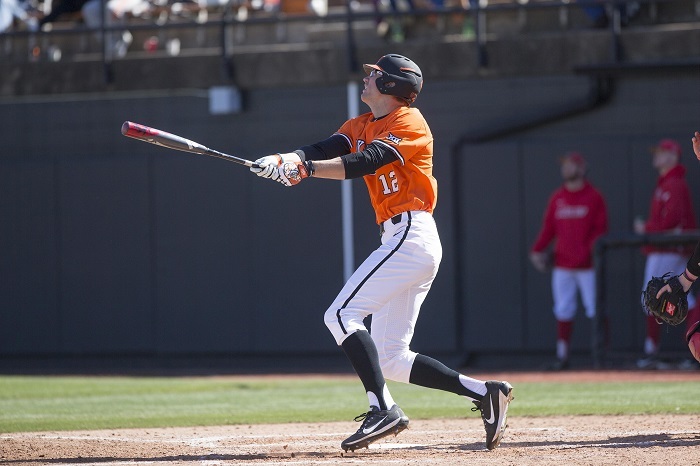 Oklahoma State swept four of its eight Big 12 opponents. They were one victory away from sharing the regular season title with Texas. 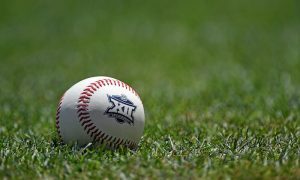 In fact, they entered the final weekend ahead of the Longhorns, A sweep at the hands of Texas Tech allowed Texas to swoop and steal the crown from the Pokes. 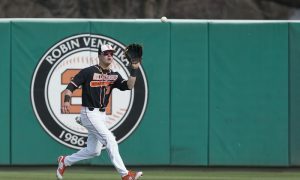 A big reason why Oklahoma State was in position to score the Big 12 Regular Season Championship was outfielder Carson McCusker. Standing at a whopping 6-foot-8, 221 pounds, McCusker walloped six baseball over the fence in the 22 games that he appeared. He started 20 times and amounted 70 at-bats. Only two players on the Cowboys, a home run-centric team, produced more bombs than McCusker and they started every game. Both are on our Top 25 Returning Players list. One of every seven at-bats produced an extra base hit. This is a man whose .271 overall average became .314 against Big 12 competition. He’s a beast and he can drive the baseball to parts unknown. Additionally, he scored 14 runs and brought in 11 more. His conference slugging percentage is .643. The problem with McCusker is he also strikes out at a phenomenally high rate. In his 70 at-bats, 24 ended with a walk of shame to the dugout. He’s a pure power hitter. In those same 20 starts, he also committed three errors. 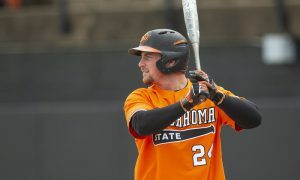 Only one Cowboy committed more errors, and Matt Kroon played first base where the ball is almost always coming towards him. McCusker plays right field. There’s no reason for him to have as many errors as a corner infielder. McCusker’s already been drafted in the 26th round after junior college. He’ll be drafted again, but simply for his power unless he makes some changes.